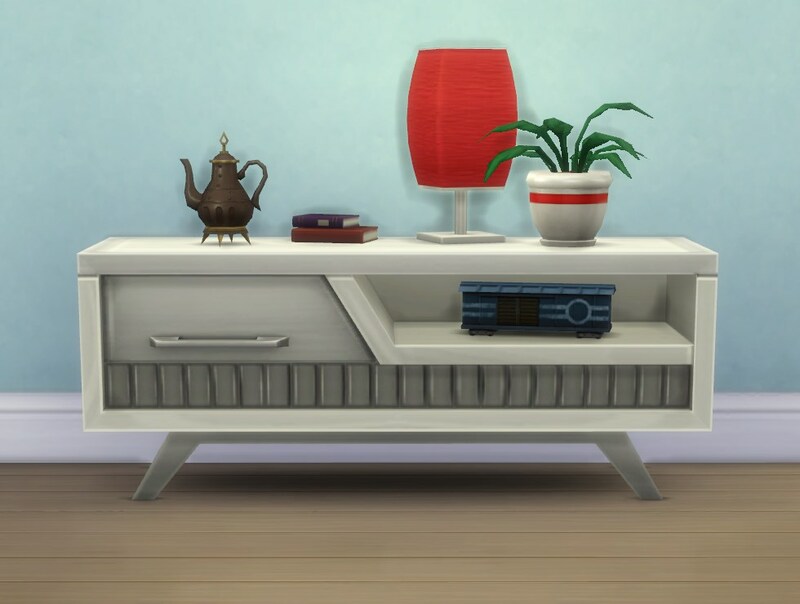 This is a low side table matching the Maxis “Shugart Bookstation”. 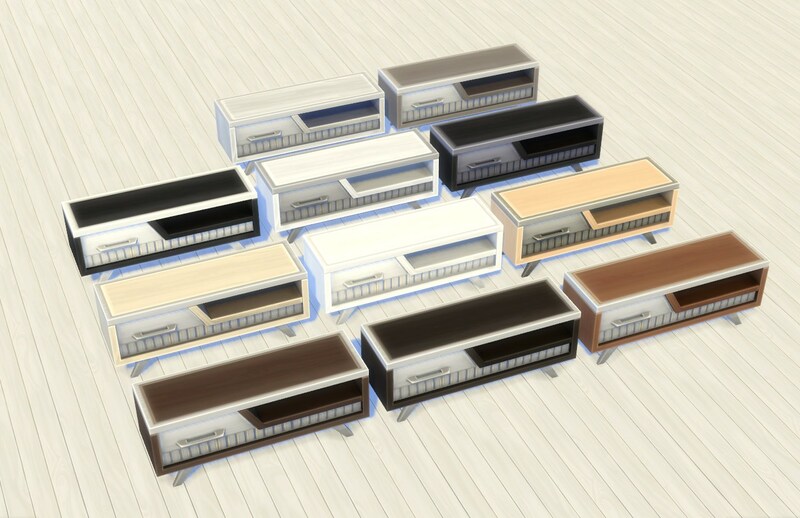 Update 2015-08-23: Low Poly stuff is more low poly now. 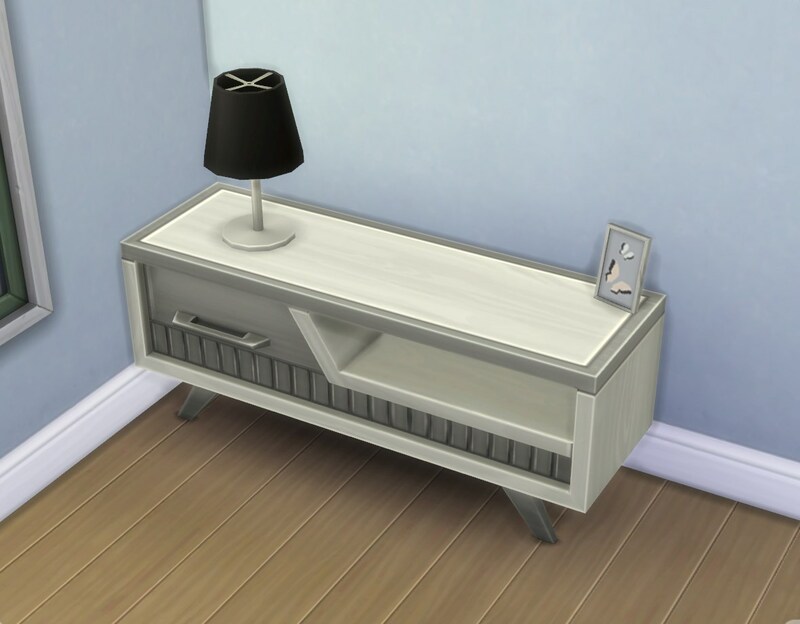 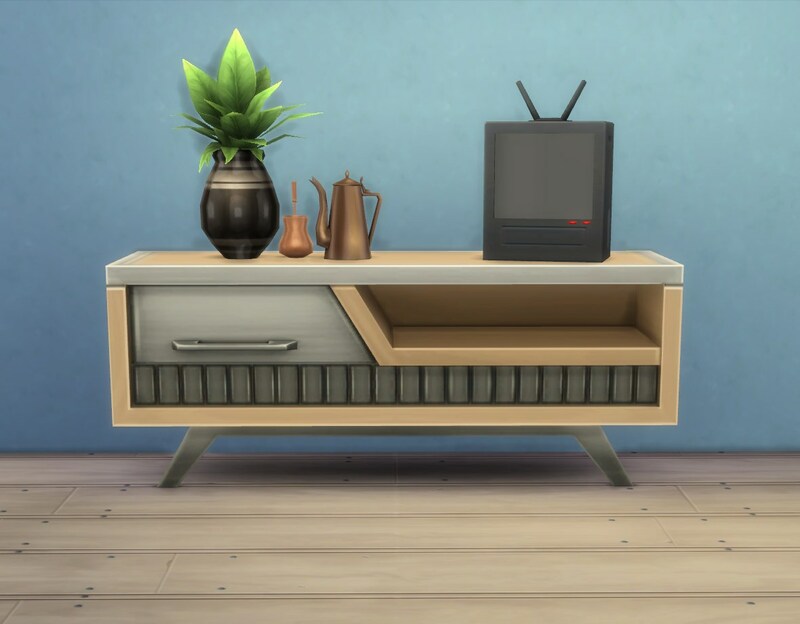 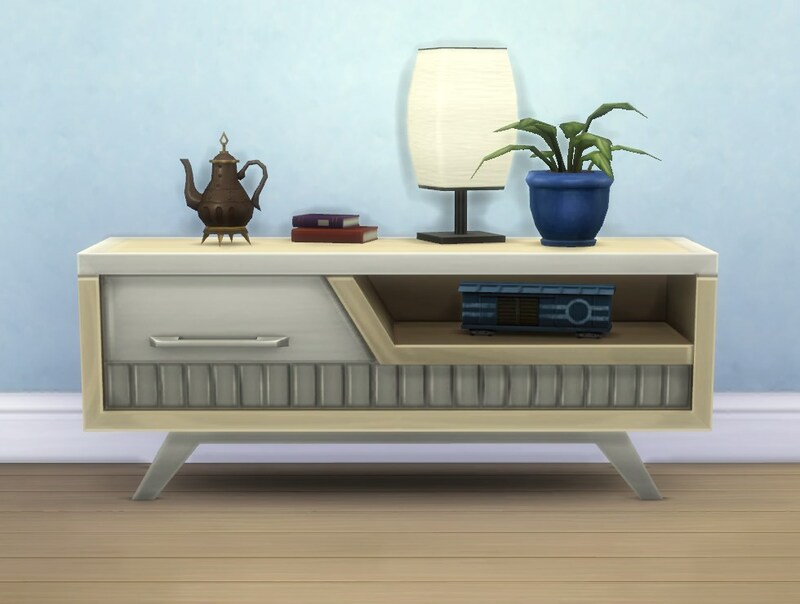 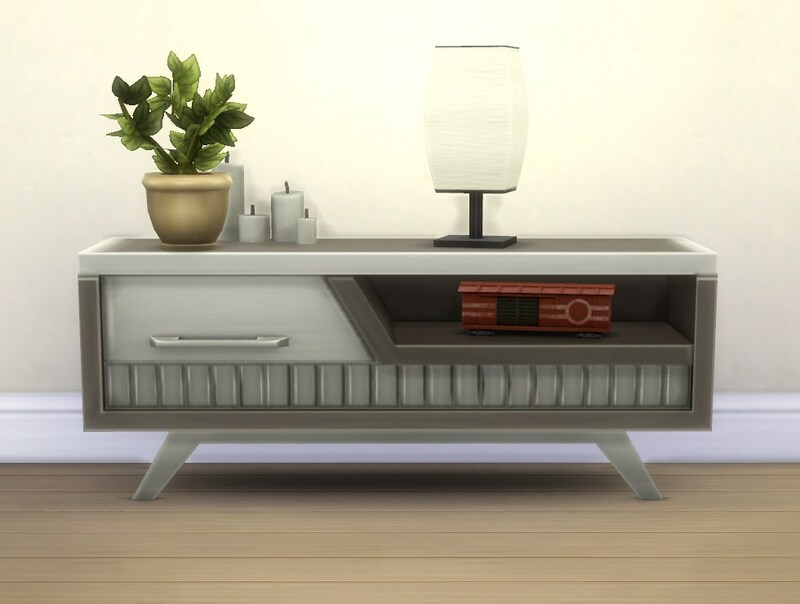 It fits exactly in a corner by default and has plenty of slots on top and three on the little inner shelf (see the Audrinite Side Table / Dresser post for a picture of the top slots). 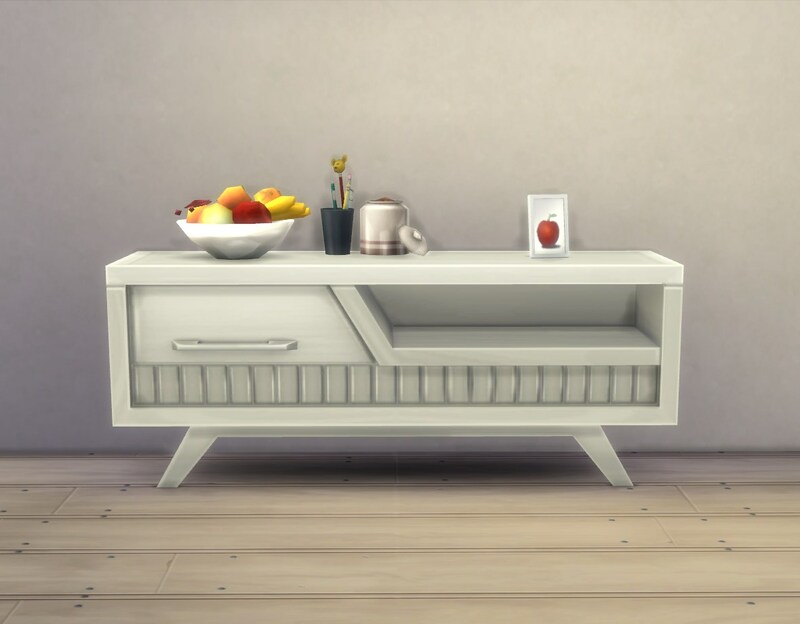 Available in End Tables for 460§, in the same 11 colour variants as the “Shugart Bookstation”. 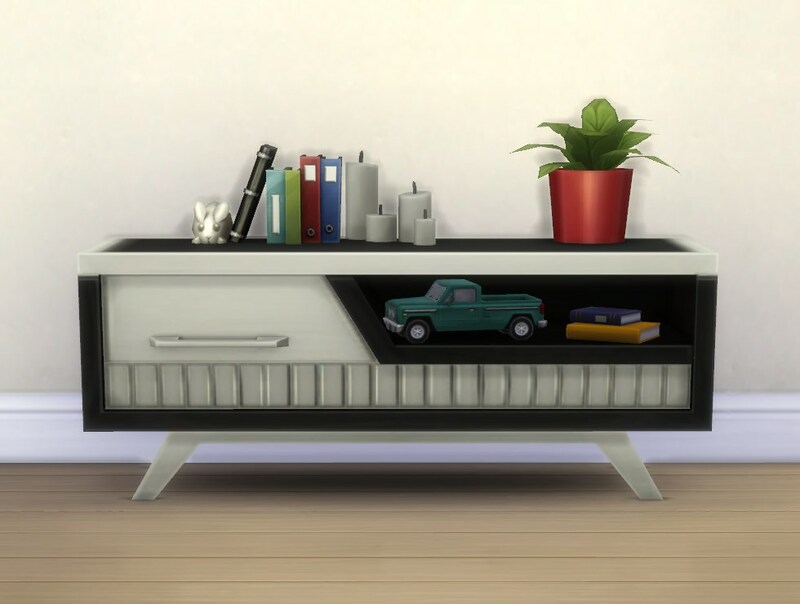 All textures are referenced; the screenshots are taken using this texture fix for the bookshelf (un-shifts the shifted-over background colour so that the top of the black-with-white variant doesn’t look stupid).